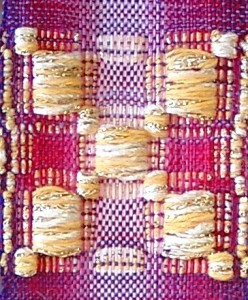 Weaving is one of the oldest crafts in the history of humankind. It is often viewed as a sacred activity, creating order, purpose and beauty from the creative potential of chaos. 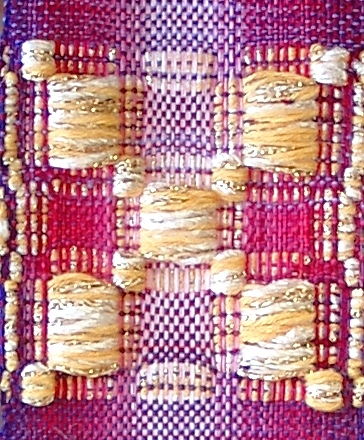 Warp and weft bring together the strands of a human life to form a unique pattern, also filled with purpose and beauty, reflecting the sacred order of the universe. In the same way traditional dances create a coherent field that will carry on even when the dance itself is finished. The field becomes even stronger when many dancers join the circle, and the coherence that results will allow the individual dancer to also align any personal areas of disharmony into the bigger universal field. Katharina Kroeber is both a weaver and circle dancer. Click here to Contact me for information on upcoming classes and courses.